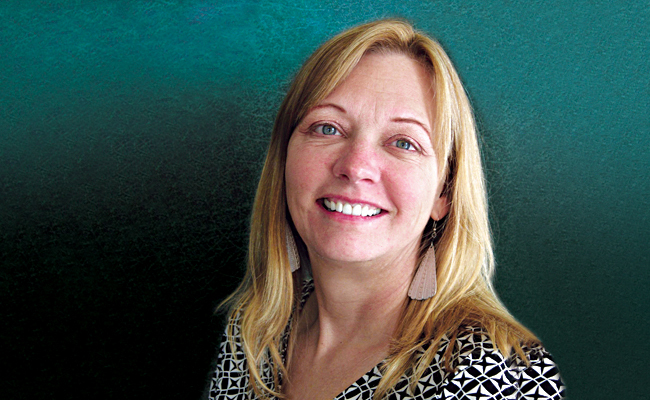 Carol Hufnagel, PE, is Tetra Tech's National Wet Weather Practice Leader. She has worked on combined sewer overflow (CSO), sanitary sewer overflow (SSO), and stormwater projects for more than 30 years. Ms. Hufnagel’s expertise includes CSO and SSO control planning and implementation, green infrastructure, regulatory policy, and hydraulics and hydrology. She received her bachelor’s and master’s degrees in Civil Engineering from the University of Michigan. What are CSOs and SSOs? A CSO, or combined sewer overflow, is a designed release point from a sewer system. Combined sewers designed to carry both wastewater and stormwater were built in many areas of the United States, Canada, and other countries. Dry weather flows go to treatment plants. Excess flows from larger rain events are discharged, untreated, to the receiving waters. A sanitary sewer overflow, or SSO, occurs when a separate sanitary sewer system is overwhelmed—either by flows during wet weather or by a plug or some damage to the line—and wastewater is released to the surface waters or to the ground. As society has placed greater value on water quality, frequent discharge of untreated flow from sewer systems is no longer considered acceptable. The question becomes to what degree these discharges must be controlled or eliminated. Standards vary by location, but general approaches are the same. What actions are communities with combined sewers implementing? CSOs must be reduced to protect water quality and are controlled in three primary ways. First, reducing the amount of flow entering the combined sewer system through measures such as green stormwater infrastructure or sewer separation. Second, storing excess flow in basins, tunnels, or oversized pipelines temporarily until it can be transported to the treatment plant. Third, adding treatment capacity by expanding an existing wastewater treatment plant or using satellite treatment. In recent years, green infrastructure has been become a significant component of many programs. Municipalities seek to maximize program benefits while minimizing overall expenditures. Regardless of predominate technololgy, the best plans respond to the community’s goals and unique circumstances. What makes control of overflows particularly challenging? The goal of overflow control programs is to define the component projects to achieve the desired performance without being overly conservative. Implementation costs are high, and many communities struggle with financing their programs. At issue is not only the initial construction cost, but also the lifecycle cost and whether other benefits to the community are realized. Attention to detail is critical in developing successful projects. Investing in data collection and site information is necessary to achieve savings in the total project cost. Project design hinges on flow quantification, in depth understanding of how the system works, and attention to long term operation and maintenance. How does Tetra Tech help? Tetra Tech always looks to optimize the selection of projects as part of a long-term control plan. We base our recommendations on the specific local conditions and work with our clients to identify the projects that will work best in the community. We balance the multiple issues that are part of program implementation—technical work, financing, regulatory issues, operations and maintenance, and public engagement. Our understanding of critical issues comes from a strong background in successful project implementation in all phases of the project life cycle. Tetra Tech’s CSO portfolio includes more than $1 billion in implemented projects. Our experience implementing a broad range of technology types helps us find the best solution for each community’s unique situation. We have unique expertise in real-time control and green infrastructure. Real-time control and system optimization maximize the use of existing infrastructure, reducing the need for additional facilities and associated costs. Tetra Tech projects in Louisville, Kentucky, and Montreal, Quebec, demonstrate the significant cost savings that can result through effective management of existing infrastructure. Green infrastructure results in less stormwater reaching the combined sewer system during wet weather. Many municipalities are shifting to this approach for CSO control because of the secondary quality of life benefits. It requires a range of efforts including financing programs, code and ordinance coordination, public engagement, and coordination with private property owners. Two critical questions need to be addressed—where and how to apply green infrastructure—neither of which is easy to answer. In answering these questions, we must consider both the short and long term perspectives. Tetra Tech has unique capabilities in optimizing the placement of green infrastructure—reducing its cost, addressing institutional barriers and providing expert design. Our interdisciplinary approach has resulted in cost-effective implementation in places like Omaha, Nebraska and Detroit, Michigan. What are the challenges associated with green infrastructure? Green infrastructure has gained significant interest over the past several years for CSO control. In a number of recent consent decrees, green infrastructure has been either an exploratory or integral component of the plan. Critical questions include how green infrastructure will perform at a sewershed scale and how it can be applied cost-effectively and implemented institutionally. Tetra Tech has worked with EPA Office of Research and Development and with major municipalities on projects that address those questions. Where are some places where Tetra Tech is working on CSO and SSO control programs? Tetra Tech has worked on these programs from Boston to Seattle in the United States, as well as major cities in Canada and France. In Michigan and Ohio, we have implemented more than 15 wet weather facilities. In King County, Washington, we aided in developing the CSO control plan and implementing several projects. This work included an evaluation of wet weather flow treatment technologies that considered the performance, reliability, and cost of various approaches. From New England to the West Coast of the U.S., and in Canada we have performed planning through construction of CSO and SSO control. What gives Tetra Tech its expertise in addressing CSOs? Tetra Tech is uniquely positioned to support CSO control because of our history of project implementation. Tetra Tech has been working with municipalities that are building CSO controls for over 25 years. These programs have used a mix of technologies, including retention treatment basins, sewer separation, in-system storage, and green infrastructure. We have the benefit of lessons learned from real world projects that can be applied in subsequent projects. The benefit of working with a wide range of approaches and technologies helps us select and apply them successfully.